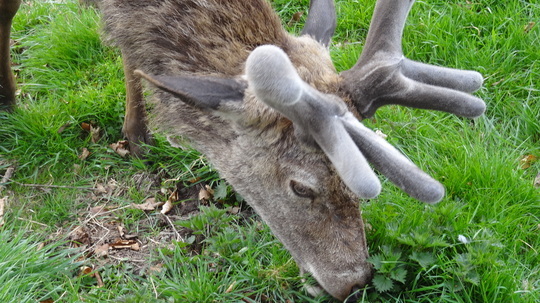 Close up of one of the deer. Velvet horns. They do look like velvet!! Natures protection while the antlers are growing DD. Did you use a telephoto ar did you really mange to get so close?